BUENOS AIRES–A federal judge in Argentina indicted former President Cristina Fernández de Kirchner for treason and asked for her arrest for allegedly covering up Iran’s possible role in the 1994 bombing of a Jewish community center that killed 85 people, a court ruling said. As Fernández de Kirchner is a senator, Congress would first have to vote to strip her of parliamentary immunity for an arrest to occur. The judge, Claudio Bonadio, also indicted and ordered house arrest for Fernández de Kirchner’s Foreign Minister Hector Timerman, the 491-page ruling said. 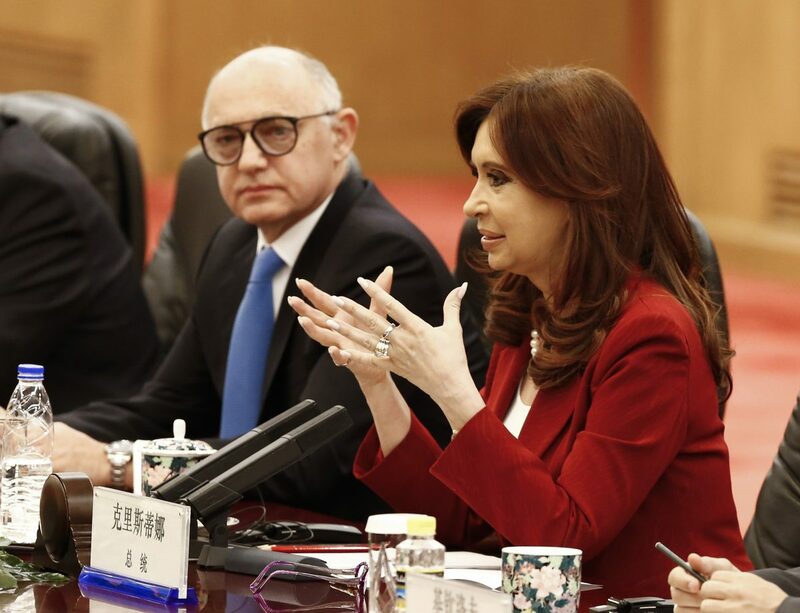 Fernández de Kirchner called a news conference in Congress to deny wrongdoing and accuse Bonadio and President Mauricio Macri of degrading the judiciary. “It is an invented case about facts that did not exist,” she said, dressed in white. Timerman’s lawyer could not immediately be reached for comment. While removing immunity from lawmakers is rare in Argentina, Congress voted on Oct. 25 to do so for Fernández de Kirchner former planning minister Julio De Vido and he was arrested the same day. De Vido is accused of fraud and corruption, which he denies. Fernández de Kirchner and her allies have been the focus of several high profile cases with arrests and indictments since center-right Mauricio Macri defeated her chosen successor and was elected president in late 2015. Fernández de Kirchner left office just a few months before the Congress in neighboring Brazil impeached another leftist female leader, Dilma Rousseff for breaking budget laws. The cover-up allegations against Fernández de Kirchner gained international attention in January 2015, when the prosecutor who initially made them, Alberto Nisman, was found shot dead in the bathroom of his Buenos Aires apartment. 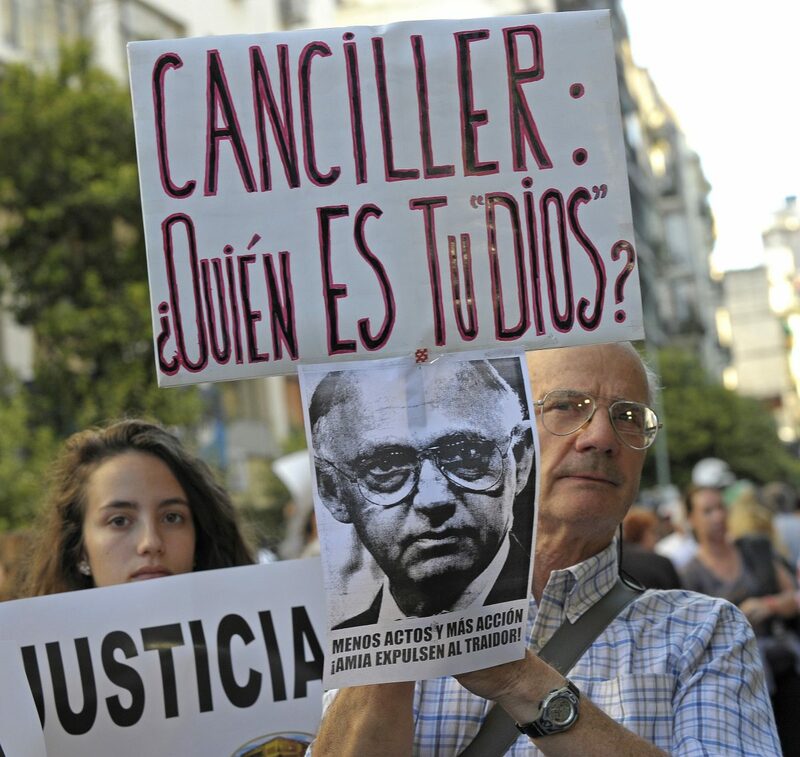 An Argentine appeals court a year ago ordered the re-opening of the investigation. Nisman’s death was classified as a suicide, though an official investigating the case has said the shooting appeared to be a homicide. Nisman’s body was discovered hours before he was to brief Congress on the bombing of the AMIA center. Nisman said Fernández de Kirchner worked behind the scenes to clear Iran and normalize relations to clinch a grains-for-oil deal with Tehran that was signed in 2013. The agreement created a joint commission to investigate the AMIA bombing that critics said was really a means to absolve Iran. Earlier on Thursday, two lower level allies of Fernández de Kirchner were arrested based on the same ruling from judge Bonadio: Carlos Zannini, a legal adviser, and Luis D’Elia, the leader of a group of protesters supporting her government. Macri’s coalition performed better than expected in Oct. 22 mid-term elections, gaining seats in Congress, but it is not clear if lawmakers will vote to strip Fernández de Kirchner’s immunity. Fernández de Kirchner, who governed from 2007 to 2015, finished second to a Macri ally in the Buenos Aires province Senate race but won a seat under Argentina’s list system. She was sworn in last week. She was also indicted in late 2016 on charges she ran a corruption scheme with her public works secretary. 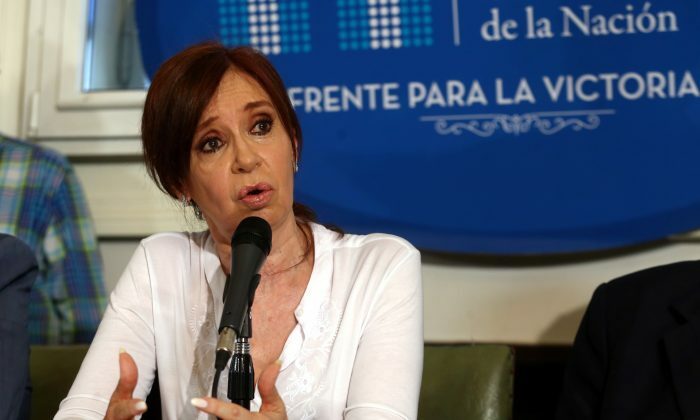 Fernández de Kirchner has admitted there may have been corruption in her government but personally denies wrongdoing. Please consider sharing this article on social media – it will help The Epoch Times to keep bringing you news that you trust. Thank you for your support!